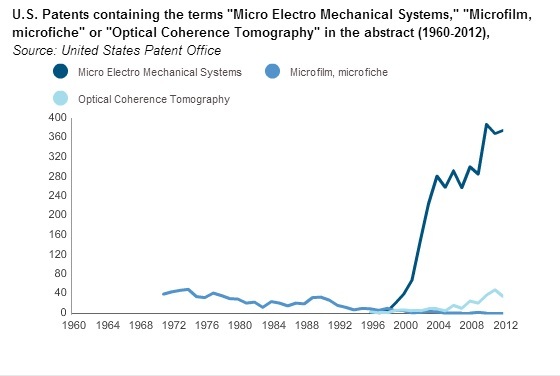 A few months ago for no reason other than curiosity, we decided to see how optical technologies past and present mapped to patent awards from the USPTO. 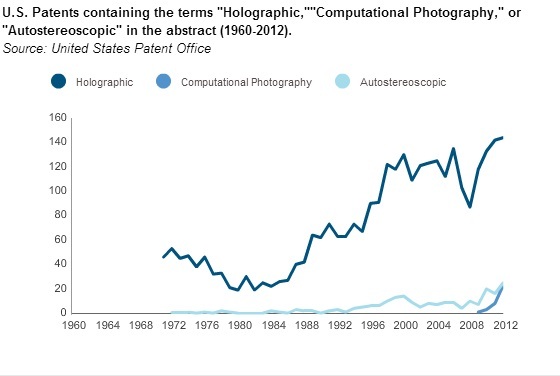 Could we see trends? 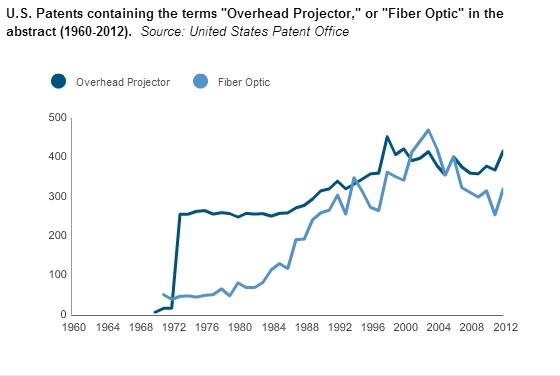 So we went back to 1960 and looked on an annual (not cumulative) basis for the number of times phrases like “overhead projectors” or “computational photography” or “light emitting diode” or “microfiche” appeared in a patent abstract. 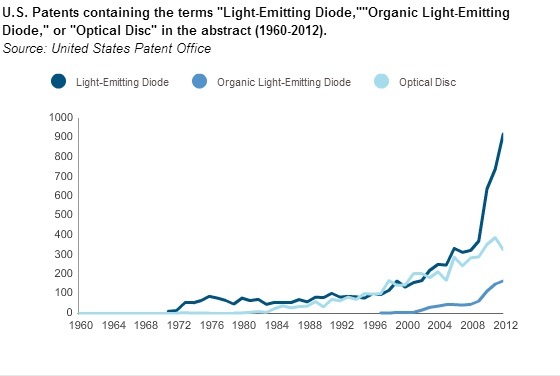 We have no broad conclusions but it is interesting to see new technologies take off and how older ones like “optical disc” still hang on.